One of the most rewarding things about building this website has been that it enables others to find information about relatives, friends and others who were involved in the 417th Night Fighter Squadron and other Night Fighter units. More recently I received a request from Albert Bettencourt’s family regarding his service in the 417th. It turns out that Albert was part of the original 417th NFS. His family had provided 4 photos of Albert, some of which contain other people who’s full names are unknown. Have a look at the end of the first gallery under the Faces of the 417th page. If you can identify any of the others with Albert, please send us a comment! Albert’s family is also looking for information on the meaning of the following badges that were part of Albert’s collection. 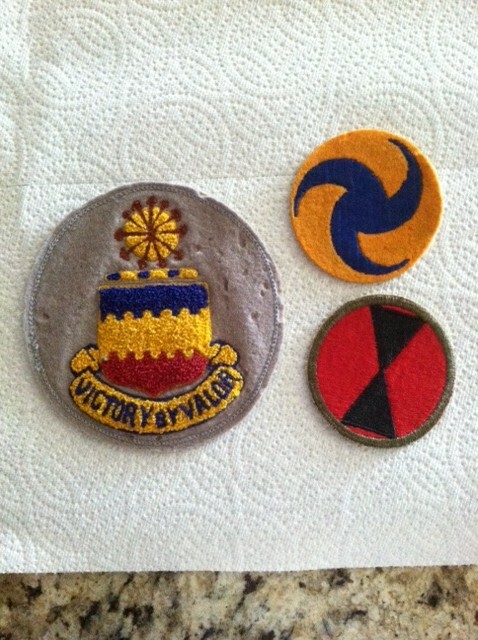 If you have any information on these badges please contact me or post a comment.